Rep. Alexandria Ocasio-Cortez (D-N.Y.) has responded to critics accusing her of appropriating a faux “Southern drawl” at Rev. 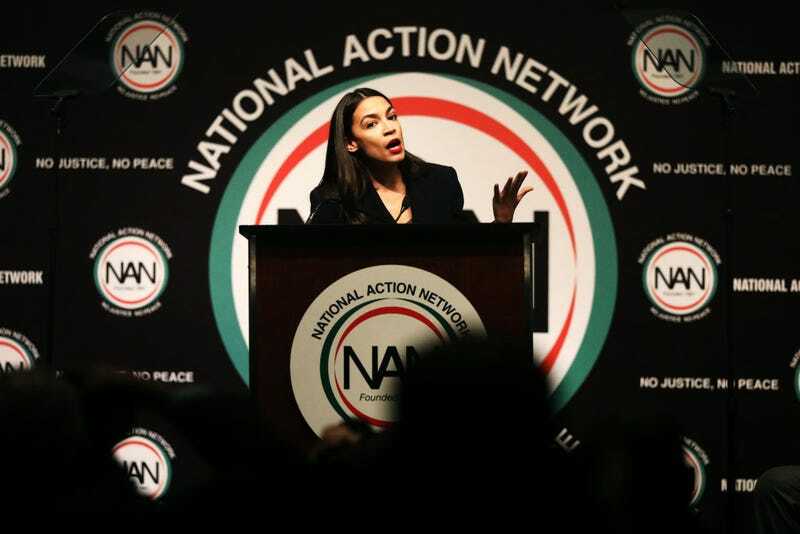 Al Sharpton’s National Action Network convention in New York on Friday. When Forever President Barack Obama famously switched from formal handshakes to the dap seen ‘round the world, there were no claims of pandering – because it’s called being a part of The Culture. Like Obama, Ocasio (along with the rest of the Legendary Freshman Crew of Pressley, Tlaib, and Omar) already have their invite to The Cookout. AOC is loved by many, and folks criticizing need to find something better to do because there are several more important issues to focus on… her dancing might still be up for debate though.